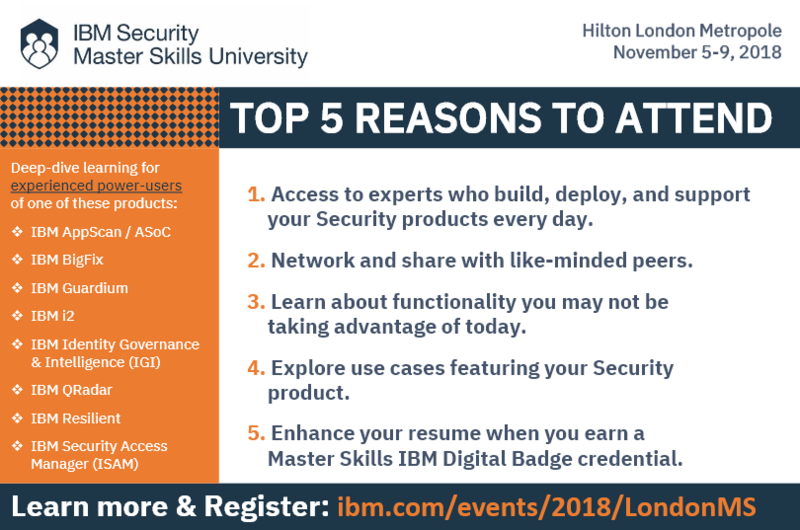 As I look forward to meeting many customers at our European Master Skills University coming up November 5-9 in London, I reflect on just how critical skills continue to be in our industry. Just as we know the bad guys collaborate and are increasingly highly skilled professionals we as the good guys need to be life long learners too building our own skills. A key part of this is the ability to get the very most from the technology available to us. Training is essential, both learning from experts and sharing experiences with peers, and that’s the beauty of master skills as we bring the best of our lab teams to strengthen our education team. Experience a week of deep-dive hands-on learning for experienced power-users and learn from the experts who build, deploy and support these products everyday. I hope to see you in London. For more details about the event click here.